By Scott Gilfoid: In a card loaded with talent from top to bottom this coming Saturday night, unbeaten super featherweight contender Adrien Broner 21-0, 17 KO’s) will be fighting Vincente Martin Rodriguez (34-2-1, 19 KO’s) in a fight for the vacant WBO super feather weight title at the U.S. Bank Arena in Cincinnati, Ohio. Besides that great fight, the super talented heavyweight Deontay Wilder (19-0, 19 KOs) will be facing David Long (11-1-2, 7 KO’s) in a scheduled eight round bout; Undefeated featherweight prospect Gary Russell Jr, (18-0, 10 KO’s) will be fighting Herberto Ruiz (48-11-2, 30 KOs) in a 10 round bout; Undefeated former 2008 Olympic gold medalist Felix Diaz (10-0, 6 KO’s) will be fighting an opponent still to be determined in an eight round bout; undefeated lightweight Mark Davis (16-0, 5 KO’s) vs. TBA in lightweight action. Broner, 22, is a major talent and possibly the best fighter in the entire super featherweight division. He had been hoping to get a fight against former WBO super featherweight champion Ricky Burns, but Burns moved up in weight just when Broner was in line to fight him. Some people think Burns moved up in order to avoid a potentially humiliating loss to Broner. It’s pretty clear that Broner would have trounced Burns had they fought. But whatever, it’s okay that he’s gone because he wasn’t doing anything anyway with his title other than facing little known fighters. Broner is different. He’s going to be making big waves after he defeats Rodriguez on Saturday night to capture the World Boxing Organization title. Broner wants to fight the very best fighters at super featherweight and prove he’s the best in the division before moving up in weight. Rodriguez, 26, stands absolutely no chance of winning this fight. I’ve seen a few of Rodriguez’s fights and he’s very slow and limited. Broner is going to beat him with ease. In heavyweight action, Deontay Wilder, who is a diamond in the rough, will be looking to score his 20th consecutive win. Wilder has got the best right hand in the division. He can really punch with his overhand right. He doesn’t have as many weapons as guys like the Klitschkos and Robert Helenius, but his right hand alone makes him just as dangerous as those guys. Wilder just needs a better jab and a left hand, and he’ll be ready to take the heavyweight division by force. This is going to be a good fight this Saturday. Long, 39, isn’t a pushover. He’s got some nice wins on his resume against the likes of Raymond Ochieng and Kelsey Arnold. 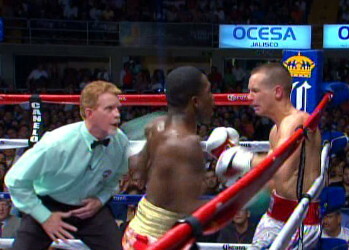 Recently, he fought to a six round draw with Jonte Willis. Wilder should take this guy out with a right hand in the third or fourth rounds. « What more can Marquez accomplish? More boxing news on: Broner vs. Rodriguez, Russell vs. Ruiz, Wilder vs. Long ,Adrien Broner, Deontay Wilder, Gary Russell Jr.